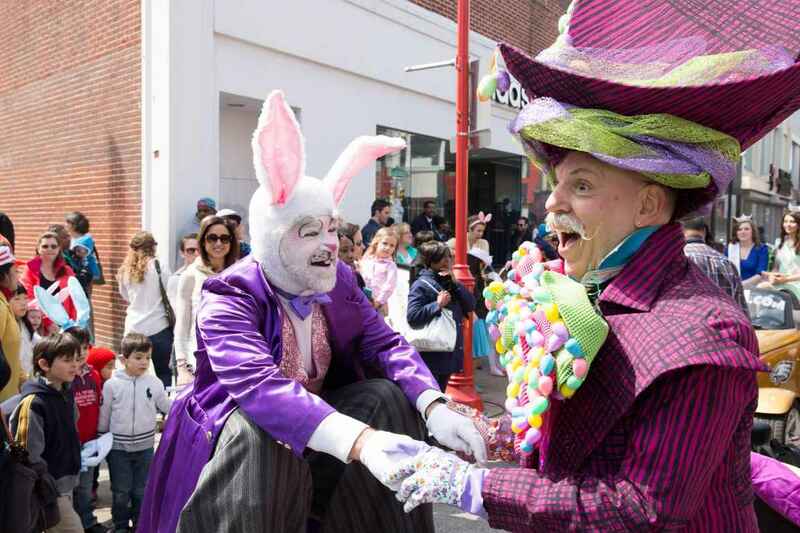 PHILADELPHIA - March 22, 2018 - PRLog -- Come dressed in Sunday Best and parade down South Street in this grand and popular tradition that is the region's largest event on Easter Sunday. Master of ceremonies Henri David returns to lead the parade from the corner of Passyunk Avenue/South Street down to Headhouse Square (2nd Street) at 12:30pm. Enjoy Easter treats, live music from the Philadelphia Freedom Band, the Bunny Hop, Mr. and Mrs. Peter Cottontail and much more. Bring your camera and stick around to meet the Easter Bunny himself, and see who wins the best dressed contests! The parade itself kicks off at 12:30pm with judging until approximately 2:00pm. Invited speakers and judges to date include Philadelphia Mayor Jim Kenney, Councilman Mark Squilla, State Representative Brian Sims and WDAS FM radio personality Patty Jackson, Retrospect manager Erin Kennedy and Fabric Row's Oxyomoron owner Monica Monique. Don't miss this FREE family event, filled with fun and surprises! Come to South Street Headhouse District before the Promenade or stay afterwards to enjoy a spring brunch at one of South Street's brunch hot spots.